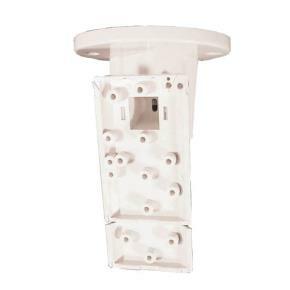 Surface‑mount the swiveling B338 plastic ceiling mount to the ceiling. It is suitable for use with many detector types. The vertical swivel range is +7° to -16°, while the horizontal swivel range is ±45°.